What is special hazards fire protection? Special hazards are defined by the critical nature of an operation or how easily the protected items or functions can be replaced. To determine if you need a special hazards fire suppression system, start by asking these questions: Can the items be replaced? Can you afford down time caused by fire damage? Are there redundant systems? Can you still operate if this system goes down? If you answer no to these questions, then you need to look at fire protection not only for the structure of the building, but for the assets it contains. That is special hazards fire protection. The special hazards family consists of five types of suppression systems. They include clean agent, foam, dry chemical, carbon dioxide and water mist systems. Clean agents are gaseous fire suppressing agents. Because they suppress fire as gases, there is no damage to protected areas from the discharge and no residue to clean up. Thus, the term "clean" agents. How do I know these new clean agents are safe for people? Under the US EPA Significant New Alternatives Policy (SNAP), the EPA evaluated clean agents with respect to performance and toxicology impact. Each of today's clean agents is SNAP approved and have undergone extensive toxicity testing to prove they are compatible with people and safe to use in occupied areas. Safety and use is determined by NFPA® 2001 Standard on Clean Agent Fire Extinguishing Systems 2012 Edition. Can people be exposed to clean agents? Yes, part of the SNAP approval process includes testing for adverse effects in humans at recommended design concentrations. Each of today's clean agents is safe for humans. While NFPA recommends always exiting the hazard in the event of a fire, it is important that people not be harmed by the extinguishing system. How do I know these clean agents are safe for the environment? Under the US EPA Significant New Alternatives Policy (SNAP), the EPA evaluated clean agents with respect to the environmental impact. Each of today's clean agents is SNAP approved, essentially non-emission and safe for the environment. What are the clean agents? FSSA members have been the key to developing, testing, and engineering clean agent suppression systems. In addition to the industrial workhorse, carbon dioxide (which should only be used in unoccupied areas), commercially-available clean agents can be divided into two major groups: inert gas-based clean agents and halocarbon-based clean agents. These agents are often referenced by their ASHRAE designation. IG-55 Several Chemetron Fire Systems, Kidde-Fenwal, Inc. Which of the clean agents is best? Each of today's clean agents is SNAP-approved and very effective at suppressing fire. They do, however, have different features. The best way to decide which agent is right for your specific application is to meet with an FSSA member installer to go over the specific details of the hazard. Detailed information related to the clean agents can also be found in the current edition of NFPA 2001, Standard on Clean Agent Fire Extinguishing Systems. How do clean agents work? There are two methods for applying an extinguishing agent: total flooding and local application. Systems working on a total flooding principle apply an extinguishing agent to a three dimensional enclosed space in order to achieve a concentration of the agent (volume percent of the agent in air) adequate to extinguish the fire. These types of systems may be operated automatically by detection and related controls or manually by the operation of a system actuator.Systems working on a local application principle apply an extinguishing agent directly onto a fire (usually a two dimensional area), or into the three dimensional region immediately surrounding the substance or object on fire. The main difference in local application from total flooding design is the absence of physical barriers enclosing the fire space. What makes clean agents more effective, than say, water? Water was, and still is, the primary tool to control structural fires. However, with today's technical sophistication, containing a fire to a single area is not always enough. Critical facilities require an even higher level of fire protection. Clean agent systems work on class A, B, and C fires and react quickly to extinguish a fire at its earliest stages. Using early detection and rapid extinguishment, clean agent systems eliminate the fire, reduce the damage to equipment, and increase the safety of people in the fire area. Clean agents extinguish fires as a gas, which gives them the ability to permeate into cabinets and obstructed areas. It also makes them uniquely suited to protect the electronics hidden inside a piece of equipment, a likely place for a fire to start. By thoroughly flooding the area with a gaseous firefighting agent, even obscured or hard to reach fires are quickly extinguished, usually long before they can be seen. After extinguishment, the agent is readily ventilated from the room along with any byproducts of the fire. Unlike water, these firefighting agents are non-conductive and non-corrosive, making them safe to use on and around live electrical equipment. There is no residue to cleanup, no lingering materials to slowly degrade equipment, and no need for an expensive "Disaster Recovery" process. Operations are brought back online and productive in a very short time. Where are clean agent systems most commonly used? Clean agent systems are installed in areas where water would do irreparable harm to sensitive equipment or materials such as those found in data centers, telecom rooms, medical and cultural facilities. How do I maintain my special hazard system? At a minimum, all systems shall be thoroughly inspected, tested and documented for proper operation on an annual basis. This maintenance should be completed by trained and qualified personnel. 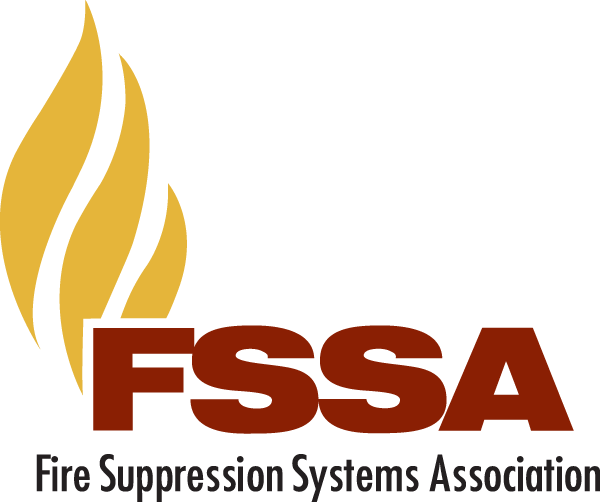 FSSA members adhere to the standards of NFPA 2001. It's a common misconception that the cost is per square foot, but actually the cost for a fire suppression system is based on volume, in addition to many other factors. There is not a equitable cost per cubic foot that can be universally applied to a suppression system application. Contact your local FSSA member and they can quickly provide you with more information based on your unique application. Halon gas is a chemical compound that is often used in fire suppression systems. Since the late 20th century, two main types of halon are mainly used in the United States. These include the liquefied type 1211 and type 1301 halon. Both are known by the scientific name bromotrifluoromethane. Has halon production been banned? The Montreal Protocol of 1987 established halon gas as an environmental risk, along with many other types of refrigerants and chemicals that are linked to ozone depletion. In accordance with this Protocol, the US Environmental Protection Agency (EPA) and other international countries has banned production of new halon products since 1994. Existing supplies are carefully monitored to provide for maintenance and refills as needed. All halon must be recycled in accordance with EPA guidelines and other international guidelines to minimize adverse effects on the environment. According to the EPA, current US supplies are expected to last at least through 2030. While halon has been a reliable, effective, and safe fire protection tool for protecting people and valuable facilities. However, due to concern over potential ozone depletion, the manufacture of halon has been prohibited in most countries. But the need for a clean, effective, safe, and environmentally acceptable agent remains. Fortunately there are several excellent clean agents available to continue protecting critical hazards.